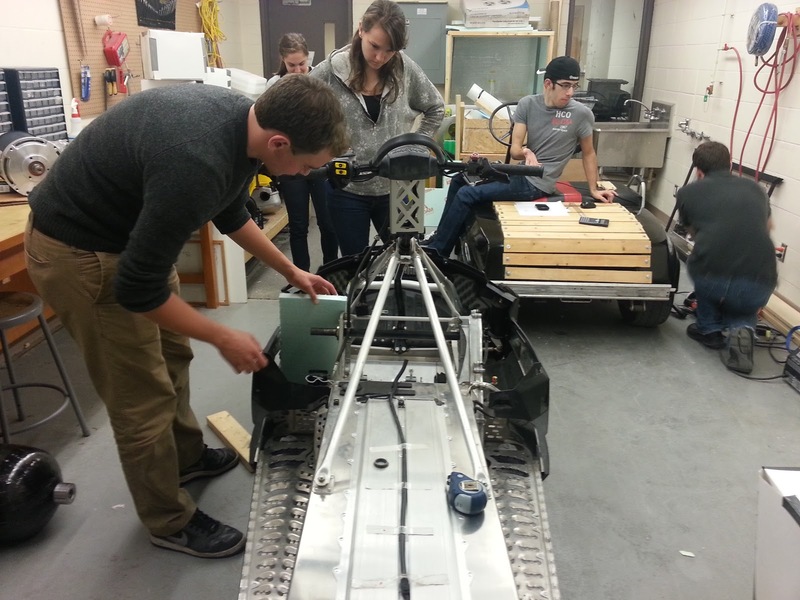 With start of another school year, the Queen’s Fuel Cell team is abuzz with activity. This year is kicking off with some exciting news: For the first time in the team’s history we are registered for the SAE Snowmobile Challenge in Michigan! Come March, we will be competing against dozens of other schools in a number of challenges intended to push our fuel cell snowmobile to the limit. 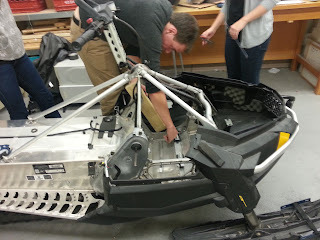 But before we can put our electric snowmobile through the ropes, we need to build it. 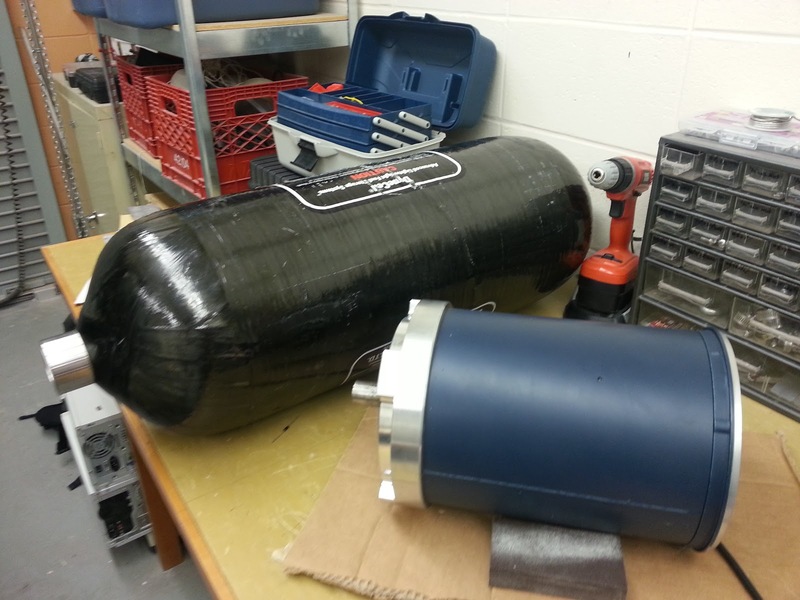 In the past few weeks, we have recruited our general members and divided them into teams who are all hard at work on their respective projects be they mechanical, electrical, fuel cell or Gentech. For now, most of this work involves coming up with a comprehensive model of the new fuel cell driven motor assembly which our stripped-bare Bombardier snowmobile is ready to accept. This year’s project is taking off quickly so stay tuned! What's that I see next to Jake in the second picture down from the top? [New glass QFCT logo?] Looking good team! 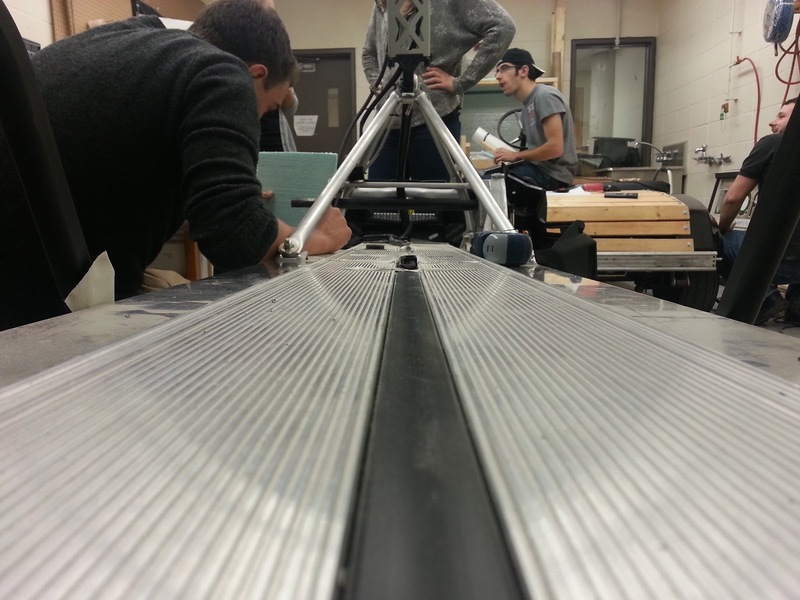 Finally all those designs and calculations are coming together piece-by-piece! You have the eyes of an eagle Ryan. Yeah it's exciting to see some tangible results from all the design work!